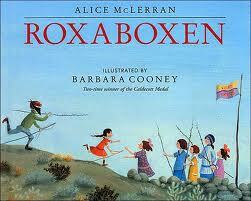 Roxaboxen, written by Alice McLerran and illustrated by Barbara Cooney, quickly and unexpectedly become a favorite picture book in our family. This story of a group of young children who build a play city out of things they find outdoors such as rocks and wooden boxes, captures the imagination of any child, inspiring young readers to think how they might replicate such a play area and reminding parents of wonderful hours spent in a similar environment of their own in bygone days. Pros: Beautiful pictures with a story that encourages imagination and ingenuity. Cons: Items in all pictures are small, and are difficult to see for children with vision impairment. Little Lost Lamb by Golden MacDonald (an pen name for Margaret Wise Brown) and illustrated by Leonard Weisgard received a Caldecott Honor in 1945. The storyline, easy to guess from the title, follows a young shepherd and his flock high into the mountains, where a black lamb wanders away from the flock. As night falls, the boy tries to find the lost creature, but he must also take the other sheep to safety. Unable to sleep, he sets out in the darkness to find the young lamb. Before he finds his charge, his dog chases away a crouching mountain lion. Finally, all is safe as the shepherd carries the lamb down the mountainside. 1. “Excellence of execution in the artistic technique employed.” – I find the watercolor pictures in this book to be simple, but detailed enough to be very interesting. I enjoyed the varied colors used during the daytime scenes as well as the excellent use of shading to achieve a twilight feeling for the night scenes. 2. 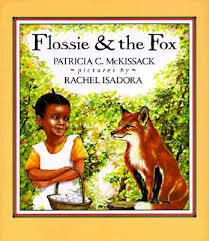 “Excellence of pictorial interpretation of story, theme, or concept.” – The illustrations make the story very easy to follow. 3. “Appropriateness of style of illustration to the story, theme or concept.”- The style is exactly as I would imagine for a mountainous scene filled with sheep and trees. 4. “Delineation of plot, theme, characters, setting, mood or information through the pictures.” – The plot, characters, and setting are made clear through the pictures. The mood, though, could have been more obviousby the use of other facial expressions, or maybe a colorful scene at the end to portray happiness when the lamb is found. 5. 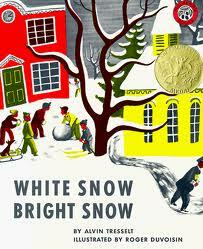 “Excellence of presentation in recognition of a child audience.” – My children and I all enjoyed this feel-good book. 1. “Excellence of execution in the artistic technique employed.” – This book uses a watercolor, folk art style with occasional cut-outs to bring out the article of clothing being discussed at that time. 2. “Excellence of pictorial interpretation of story, theme, or concept.” – The illustrator very creatively used cut-outs on some pages to show the design of the fabric shown on the previous page on the current page in a new shape. 3. “Appropriateness of style of illustration to the story, theme or concept.”- The folk art style with a slight Jewish flair is perfect for this book! 4. “Delineation of plot, theme, characters, setting, mood or information through the pictures.” – The plot, characters, mood, and information are well-described through the pictures. The setting is less obvious. 5. “Excellence of presentation in recognition of a child audience.” – My children and I laughed throughout this book, then we enjoyed singing the song written out at the end. 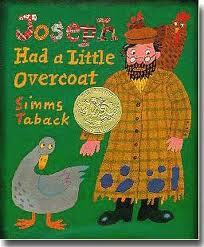 This book is perfect to start a discussion about thriftiness with young children.